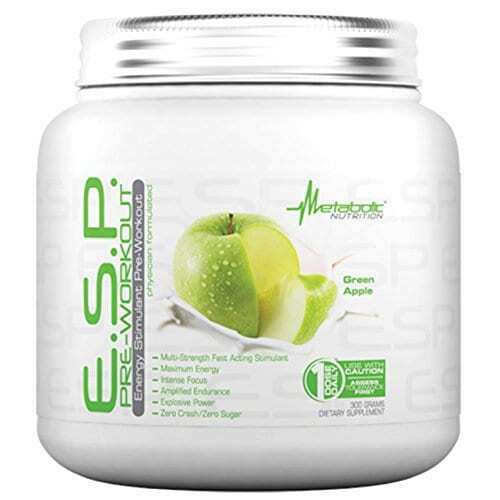 Metabolic Nutrition ESP is a new pre-workout formula from Metabolic Nutrition that has made a major impact in the supplement and muscle gaining industry*. 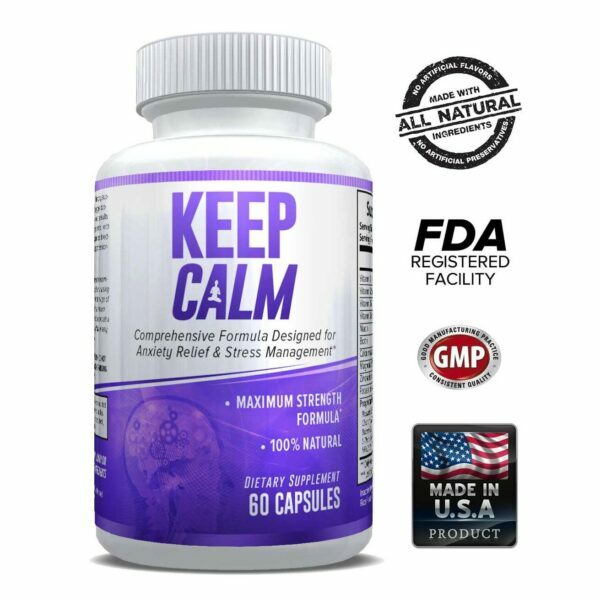 It is a multi-strength formula specifically designed to deliver high intensity energy to the muscles in order to reduce fatigue during strenuous exercises*. 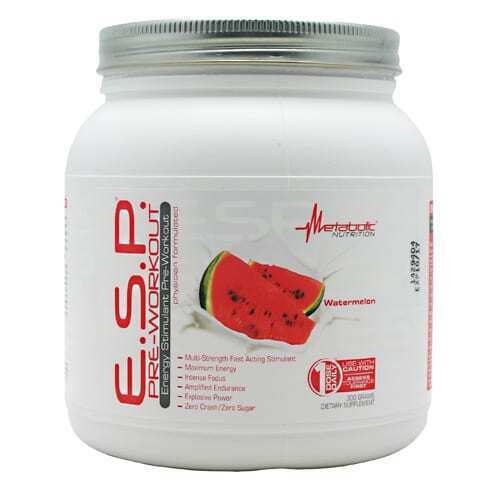 Unlike other one dose pre-workout formulas for all users, ESP is formulated to provide energy to high-stimulant users, low-stimulant users and anyone in between*. While other pre-workout formulas suffer from short lived energy and questionable taste*, ESP formula supplies the body muscles with super stimulated energy for more than 4 hours*. In addition, the formula has a flavor profile that will increase your craving for it before performing any workout*. All the 4 available ESP flavors taste great and are suitable for pre-workout training*. The available flavors are green apple, fruit punch, blue raspberry and watermelon. 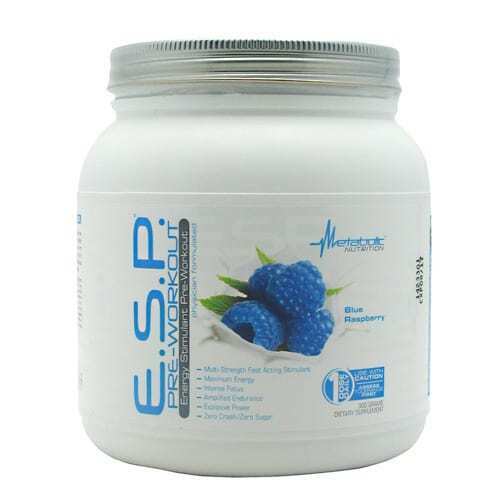 ESP is a customizable multi-strength pre-workout formula that delivers unrivaled intensity and energy*. Before using this formula, it is important to first assess your stimulant tolerance levels*. However, the amount of dosage varies depending with your training level; strong, intense or extreme*. 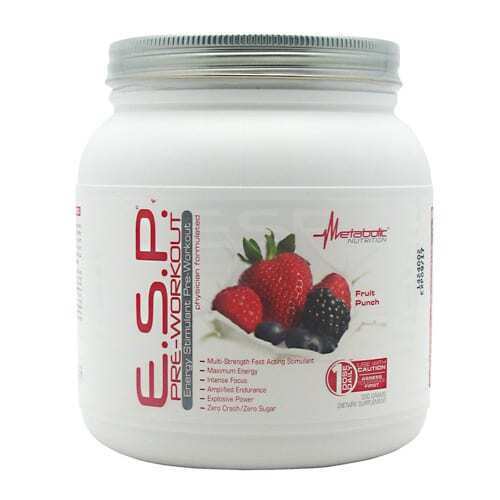 ESP is NOT to be used by pregnant and lactating mothers*. 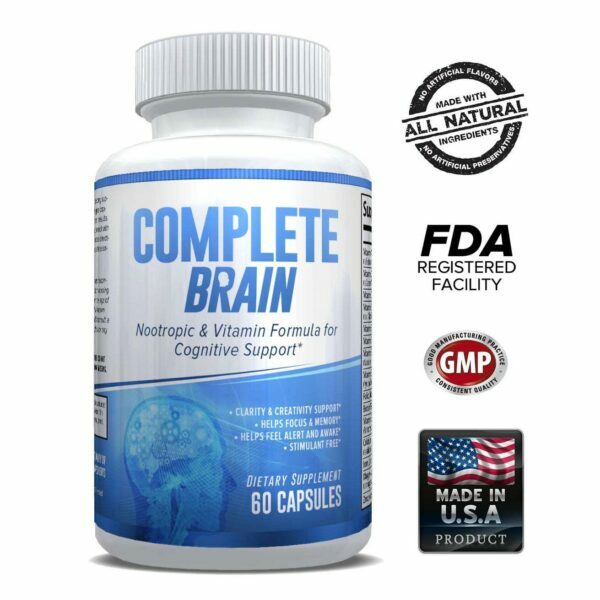 In addition, the formula should not be used by an individual with a health condition including but limited to allergies, diabetes, psychiatric issues, prostate inflammation, seizure disorders, and heart, kidney or thyroid diseases among others*. It is important to discontinue use and seek immediate medical attention if you experience dizziness, severe headaches, rapid heartbeat and shortness of breath*. The formula is intended for use ONLY by healthy individuals who need to boost their body energy and increase their endurance levels*. KEEP OUT OF REACH OF CHILDREN.